The Reign were back on the ice for practice this morning after a well-deserved day off yesterday. Ontario has opened the season with a 1-1-1-1 record through four games, including an overtime defeat and a shootout loss on home ice this weekend. Ontario currently sits in a tie for fourth in the Pacific Division with the Bakersfield Condors, but at this early junction of the season, five points separates first place from last place. Ontario Head Coach Mike Stothers noted today that in this league, every point is important. You never know how a playoff race will shake out but these could be valuable points that Ontario looks back on late in the season. You could say that Ontario has lost three out of four games but Stothers is taking a “glass half full” approach, in his words, thus far. 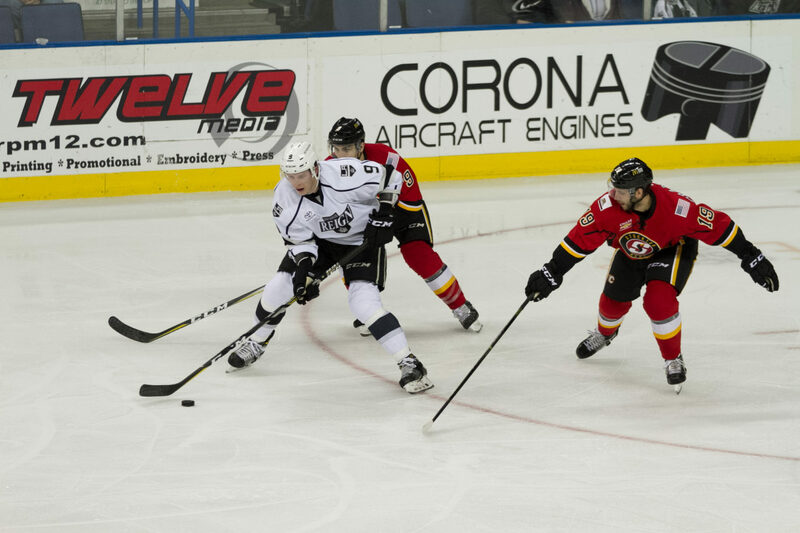 So spin zone – The Reign will ride a three-game point streak into Wednesday’s showdown with the Milwaukee Admirals. 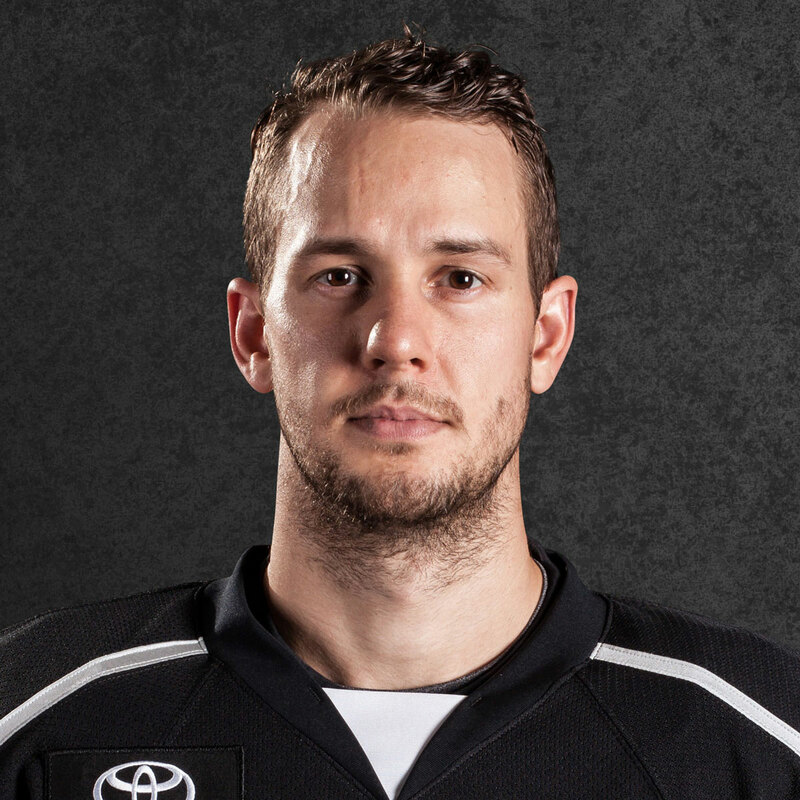 Forward Matt Luff and Zack Mitchell both missed Ontario’s game on Saturday against San Diego. Luff’s injury was particularly hard to notice as he was on the ice in overtime on Friday and took pre-game warmups prior to Saturday’s game. Neither player skated with the team today as Ontario had exactly four lines of forwards with no extras on the ice for practice at Toyota Sports Center. 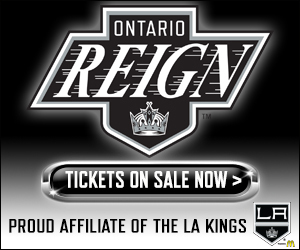 The two forwards make up 1/3 of Ontario’s usual Top 6 when healthy, making the Reign’s five-goal output on Saturday that much more impressive. Luff has collected three points (1-2-3) through three games, including his first tally of the season on Friday against Stockton, while Mitchell has one goal through three games. After Saturday’s game, Stothers noted that it was too early for comment, but looking forward to Wednesday, he called Mitchell a “definitely not” for Wednesday’s game but said that Luff will be “optimistically guarded, but hopeful,” alluding to a possibility for the second-year pro. Will keep an eye on that development tomorrow into Wednesday’s game. Well, on Saturday, it was Sheldon Rempal and Mikey Eyssimont, who both collected a goal and an assist in the game. With Rempal, it’s hard to say he’s filling in for anyone, rather than leading the charge himself. Through four games, the Clarkson University product is tied for second in the AHL with four goals and is tied for third with eight points. Rempal also leads all AHL rookies in both goals and points and his four goals have all come at even strength, tied for the most amongst all skaters. As for Eyssimont (see his thoughts from Saturday night below), he scored what was, at the time, the game-tying goal early in the second period and collected multiple points for the second time in three games. 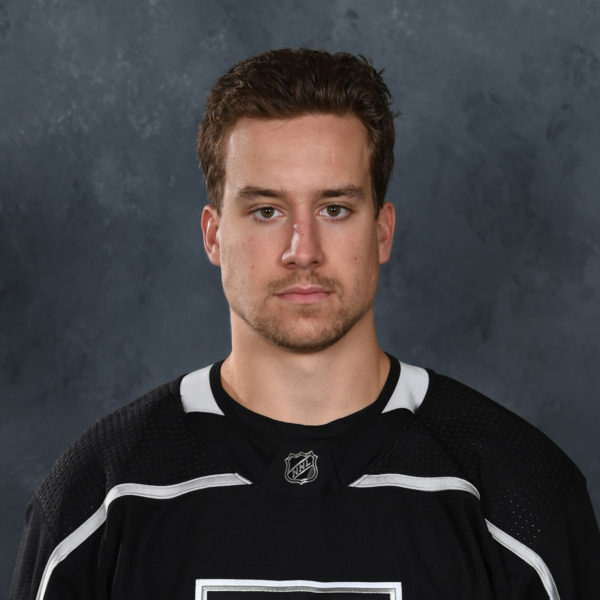 The Colorado native has now amassed four points (2-2-4) from four games played on the season after he picked up an assist from three games with the Reign at the end of last season. 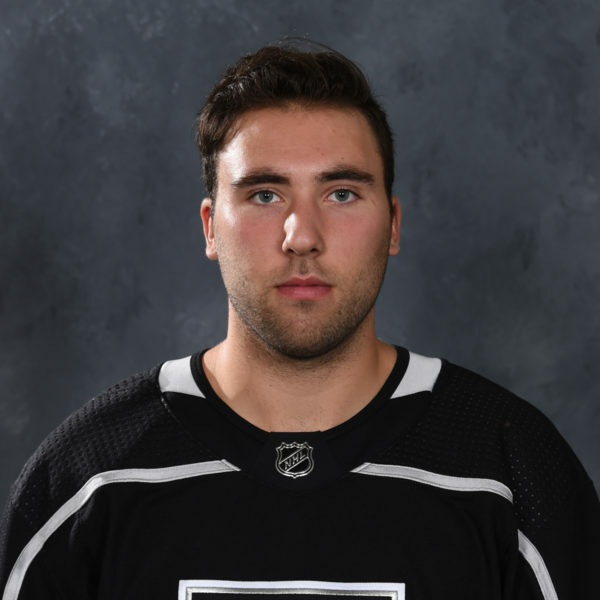 Both young players skated with older teammates on one of the Reign’s top two lines today with Rempal on the right of Matt Moulson and Philippe Maillet, as was the case for much of Saturday’s game, and Eyssimont skated with Brett Sutter and Jamie Devane. 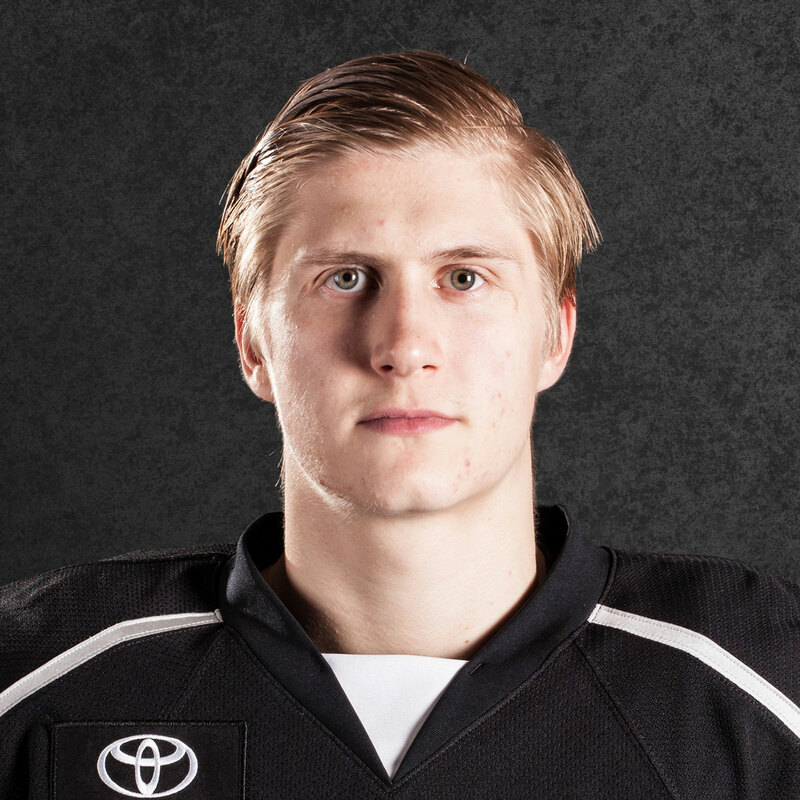 Saturday saw a Reign player score his first career professional goal for the third straight game. Last weekend, the trio of Eyssimont, Rempal and defenseman Daniel Brickley accomplished the feat in Stockton. On Friday, defenseman Kale Clague buried his first and on Saturday, it was forward Brad Morrison who got the first of his career. While it wasn’t necessarily a clean goal – His shot from the slot ricocheted off of a San Diego defenseman and in, it came at a critical time to stop a San Diego offensive rush that saw them turn a 1-0 Ontario lead into a 3-1 deficit in less than five minutes. Walking me through the play, Morrison noted that linemate Sam Herr made a nice play on the forecheck (that wasn’t rewarded with an assist but I think it could change to one) to force a turnover in San Diego’s defensive end. He said the puck was kind of just sitting there in the slot and he fired it home…..”it just kind of went in”. Ontario Captain Brett Sutter accomplished a milestone on Saturday as he played in his 750th career regular season game at the AHL level, as mentioned HERE on Saturday morning. Sutter, who has appeared in 155 of those games with the Reign, admitted that he didn’t even really know or think about the milestone beforehand. As the American Hockey League mentioned on Twitter during the game, Sutter became the 50th player in league history to reach the 750-game plateau – One of those other 49 players? LA Kings Head Coach John Stevens. Stothers, who himself played in 671 AHL regular-season contests, offered up his thoughts on Sutter’s accomplishments. Ontario is back on the ice tomorrow morning at TSC for their final practice before they cap off a three-game homestand on Wednesday against Milwaukee.